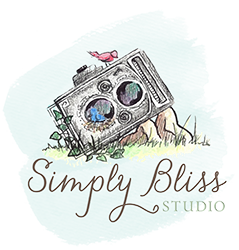 Simply Bliss Studio is a full service studio located in Historic Downtown Smithfield, North Carolina. Simply Bliss Studio offers high quality professional photography, on-location and in-studio. Specializing in photographing faces of the young and old, from birth and beyond. Offering a variety of portraiture and proudly serving the triangle, including: Johnston, Wake, & Harnett Counties. Available for domestic/international travel. North Carolina: Smithfield NC, Raleigh NC, Angier NC, Fuquay-Varina NC, Clayton NC, Garner NC, Benson NC, Four Oaks NC, Erwin NC, Dunn NC, Coats NC, Durham NC, Chapel Hill NC, Triangle, Triad, Sandhills, Topsail Island NC, Surf City NC. Wake County, Johnston County, Harnett County, Pender County, Onslow County. Available for travel & destination locations.